It has been a year since the national symposium on working waterways and waterfronts convened in Norfolk, Va., and across the country success stories are having a significant impact on the survival of these vanishing infrastructures. Florida voters this November will have a chance to vote on a constitutional amendment that would assess working waterfronts based on current use, rather than highest-possible use taxation, which often leads to higher property taxes for marine business owners. On a national level, U.S. Rep. Tom Allen, D-Maine, introduced the “Keep Our Waterfronts Working Act of 2007” as part of the Coastal Zone Management Act reauthorization. The proposed legislation differs from previously introduced bills because it greatly expands the definition of eligible types of water-dependent industry, not just commercial fisheries.The bill is in committee and had its initial hearing in April, though close watchers of the bill agree it may not pass this year because of upcoming elections and other issues. In North Carolina, it was recently announced that 13 sites have been selected for funding from the Waterfront Access and Marine Industry Fund. The total cost of the projects exceeds $71 million and includes access for commercial and recreational use. Maine voters last November approved $3 million for the state to purchase covenants over commercial fishing and mixed-use properties to preserve them for the future. This is in addition to the $2 million that had previously been approved. Murray said he and others continue to travel the country educating people about this issue. He’s taking part in a panel on working waterfronts and waterways at The Coastal Society’s upcoming biennial conference and is planning a similar panel for the States Organization for Boating Access conference in October. Virginia Sea Grant and the Middle Peninsula Chesapeake Bay Public Access Authority are working together to assess the public water access needs and waterfront conflicts that may occur within the Tidewater region of the state. People that work, live or recreate on or near the waters of the lower Chesapeake Bay have been invited to participate on a survey posted on the original conference Web site. In the Gulf Coast region, the Mississippi-Alabama Sea Grant Consortium funded a survey, conducted by professionals and students at Auburn University, to assess the number of water-dependent businesses in Mobile County, Alabama. Hite said the purpose of the survey was to find out who was on the waterfront and potentially use the information to approach the state legislature about zoning laws to help those businesses. Informal discussions about conducting similar surveys in nearby areas also are under way, Hite said. In Maine, six projects have been selected for funding to keep them as working commercial fishing properties. 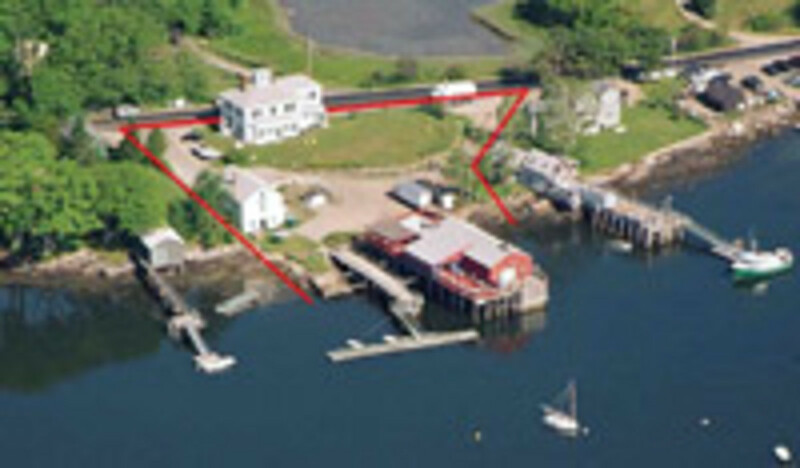 Two of the properties have been sold, and four are going through the due-diligence process, said Jim Connors, senior planner with the Maine Coastal Program, who also served on the steering committee for last year’s conference. “I would call it a big accomplishment,” he said of the covenants that have been purchased to retain these properties. The six projects will cost the state about $1.5 million and another round of proposals was due to the state in May. Connors said he expects three projects to ask for funding, which will come from the additional $3 million voters authorized last year. “I think we’ve shown that there is a demand, there is a need, and I think we’ve also shown that it works,” he said. While Maine has focused on commercial fisheries for its program, the proposals may include mixed-use sites as long as commercial fishing is done on a portion of the property. The Maine Working Waterfront Coalition, Connors said, is working to keep the issue in front of the commercial fishing industry. The industry has to want to participate in the program to make it successful. In general, Connors said he’s pleased with what’s happened since the conference. In Florida, marine industry officials were successful in getting the state’s Taxation and Budget Reform Commission to approve a proposed constitutional amendment that assures assessment of working waterfronts based on current use and not highest-possible use. Previous attempts to get such a measure on the ballot failed, explained John Sprague, chief of government affairs for the Marine Industries Association of Florida. The issue must be approved by 60 percent of the vote to become an amendment, Sprague said. “That was a major deal,” he said of getting the measure approved by the commission. Sprague, who also served on the steering committee for the Norfolk conference, said he would like to see a database outlining what’s going on in each state and on the local level in terms of preserving working waterfronts. This way, he said, others who are considering similar proposals can see how it’s worked in other jurisdictions. While the success stories in this area are many, there’s still work to be done, conference organizers say. Ryck Lydecker, who originally came up with the idea for the first conference, said the Sportfishing and Boating Partnership Council, which he chairs, wants to do another conference, but focus it on inland waters, rather than the coast. The issues, he said, are different, as freshwater access involves federal and state governments, private landowners, power companies and other entities. About 1,800 lakes throughout the nation are controlled by the federal government and managed by agencies such as the Army Corps of Engineers, the Bureau of Reclamation and the U.S. Forest Service. To get such a conference off the ground, there must be an entity to take a leadership role in its organization, similar to what Virginia Sea Grant did for the Norfolk conference. Those details are still being worked out. Sprague also said changing the venue for the conference to the West Coast, for example, could bring in a different group of players with different ideas. Lydecker, who also serves as assistant vice president for government affairs for BoatU.S., said he would also like to see more discussions in the future about getting kids outdoors and interested in the issue — it’s about more than just selling boats. It’s a long-range philosophy, he acknowledges, but an important one to consider. Organizers of last year’s conference also said the housing slump has somewhat halted development, so now is the time for action, before the market rebounds. “Since the housing market now has gone in the toilet, the pressure’s off,” Sprague said. “So now that gives us an opportunity to do some of the things that maybe can help preserve what we’ve got before the pressure comes back.